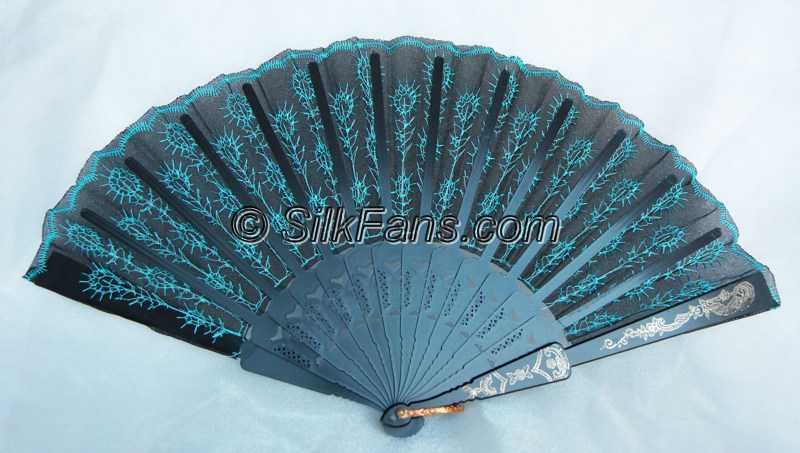 Fan size: 9" x 17" Beautiful turquoise emrboidery on black fabric Black slats with gold patterns This is a wonderful lady's accessory. Very easy to open and close, also good for dancing. 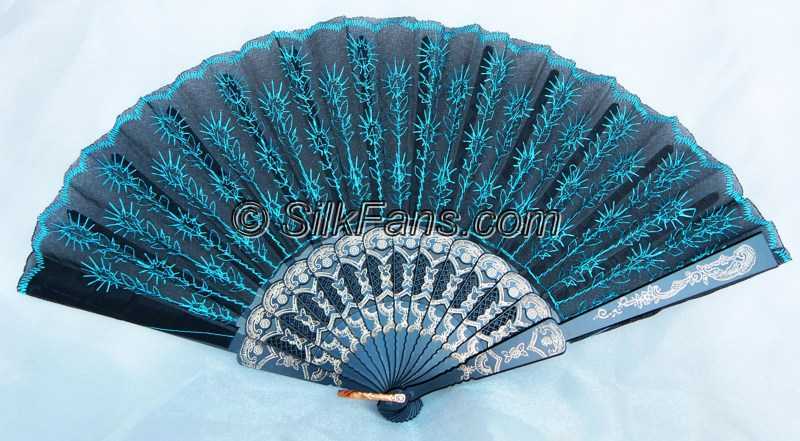 A black pouch is included for each fan.